After a year of research into the life of W.C. Ewing, the founding publisher of the Skagit News in Mount Vernon in 1884, we have discovered that his pedigree may be the most distinguished of all the early Skagit county pioneers. Information about Ewing in various county histories is very limited, but the gist was that he was the son of a "General Ewing" and that he published the newspaper from March 4, 1884, to Sept. 29, 1885. In just the last month, we have found a mountain of material that fleshes out his resume and his famous family. The News has evolved over the last 120 years into today's Skagit Valley Herald. Researching further, we found a spectacular website by a Ewing descendant, Marilyn Price-Mitchell, that lays out in detail the Ewing generations from Scotland to Washington over nearly 300 years: What we did not know until recently is that Ewing's grandfather was one of the most famous senators of the nineteenth century, a confidante of both Daniel Webster and Abraham Lincoln, the foster father of General William Tecumseh Sherman and the legal adviser behind the successful defense of President Andrew Johnson against impeachment. In addition, his father was both a Civil War General and the man who defended Dr. Samuel Mudd, one of the charged conspirators of the Abraham Lincoln assassination, and saved him from the death penalty. 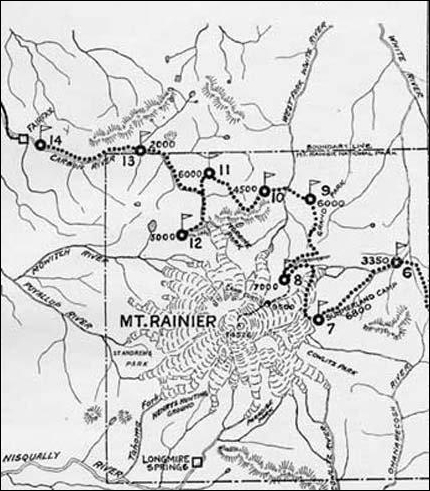 While conducting our research, we also discovered that William C. Ewing made news himself an early climber of Mount Rainier and that may be the key to how and why he was introduced to Skagit county. Publisher Ewing started the first newspaper on the Skagit river but he was gone within two years, leaving a legacy that has evolved to the present Skagit Valley Herald. The family saga starts in Glasgow, Scotland, near the end of the seventeenth century. Findlay (or Findley) Ewing emigrated from Scotland to Londonderry, Ireland, near lower Loch Lomond in 1685. A staunch Presbyterian and an ardent advocate of liberty, he served as a captain under William of Orange at the Battle of the Boyne in 1690 and was presented a sword by King William in recognition of conspicuous bravery. The battle resulted in the overthrow of James II of England, which forced his abdication and established the rule of William and Mary. 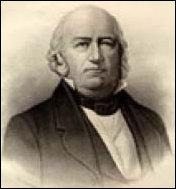 His youngest son, Thomas Ewing Sr., was christened in 1690 and he emigrated to Long Island, New York, in 1718. The family, like many others, had suffered for two decades under English rule, as they were wretchedly poor and oppressed by exorbitant taxes and rent. He established the family home in Greenwich, New Jersey, that would house the next two generations of Ewings for the rest of the century. His son Thomas Ewing Jr. was a blacksmith there. It is important for the reader to note that there were two sets of Thomas Sr. and Jr. in the American Ewing family. George Ewing Sr. was born to Thomas Jr. and his third wife in 1754. During the Revolutionary War, he was commissioned as an ensign and was later promoted to lieutenant in the colonial army. Ensign was a rank in the army then; it was not a rank in the navy until 1862 when it was created especially for graduates of the U.S. Naval Academy. In April 1798, George Ewing moved his young family to Athens county, Ohio, which was a wilderness at that time without a road in the area. One of his sons, Thomas Ewing Sr., was nine years old at the time and he experienced a thrilling life on the frontier among pioneers who would teach him survival skills. He was destined to be one of the most famous senators of the 19th century. He showed marked intelligence as a boy, and while he was a teenager he earned money for college by working in the Kanawha salt works, sometimes as long as twenty hours a day. He soon became an owner of a salt works himself and within three years he saved enough to free his father's farm from debt and he enrolled in Ohio University in 1809 at age 20. Although he ran out of funds and had to work in salt mines again, he returned to the university and graduated in 1815, earning the first Bachelor of Arts degree awarded in any college in the Northwest Territory. Thomas Ewing Sr. then moved to Lancaster, Ohio, where he studied law under Philemon Beecher and was admitted to the Ohio Bar at age 26 in 1816. Ewing married Beecher's niece and Philemon became a key Ewing family member, as you will see. Beecher was elected to Congress in 1816 for this first term and Ewing took over his practice. He rose quickly in the lawyer ranks and served as prosecuting attorney for Fairfield county from 1818-29. During that period, he argued in front of the U.S. Supreme Court along with such brilliant legal minds and political stars as Daniel Webster, Henry Clay and John C. Calhoun. Senator Thomas Ewing adopts William Tecumseh Sherman In Ewing's last year as prosecutor — 1829, his friend, Ohio Supreme Court Judge Charles R. Sherman, died after six years in office. Back in 1813, President James Madison appointed Sherman the Collector of Internal Revenue. Four years later, the U.S. government demanded payment from its deputy tax collectors in gold or paper of the U.S. Bank. Ohio and the areas of the Northwest Territory had used local bank notes almost exclusively, leaving the tax collectors with large sums of depreciated currency. Sherman assumed many of the debts of his deputies, a responsible decision that would haunt his family. In 1829, Sherman's widow was left with eleven children and a mountain of debts still unpaid. The eighth Sherman child was a nine-year-old boy that his father had given the middle name of Tecumseh for a famous Indian chief. Mary Sherman gave up the boy, William Tecumseh Sherman, and two of his brothers for adoption and Thomas Ewing adopted William. For the next seven years, Ewing sent the bright and energetic boy to Lancaster schools and secured a cadetship at West Point in 1836 for his young protege, who would eventually become one of the most famous Civil War Union generals. Sherman had taken quite a liking to Thomas's daughter Ellen and after 14 years of separation, they married in 1850 in Washington D.C. at Ewing's Pennsylvania Avenue home with a flock of dignitaries attending. The Ewing family also gave Sherman his lifelong nickname, "Cump." One of the other brothers who was given up for adoption, John Sherman, became a U.S. Senator from Ohio and is best known for the Sherman Anti-Trust Act. Meanwhile, the Whig party nominated Ewing for the U.S. Senate in 1830 and he went on to serve in that office for nearly seven years. His incisive speeches on the Senate floor soon earned him the title of "Logician of the West." He soon became a disciple of Henry Clay and opposed some of President Andrew Jackson's key proposals, to the point that he also represented the Anti-Jackson party. That opposition led to his downfall as a Senator. The Ohio legislature, which elected U.S. senators back then as opposed to the people of the state voting directly, came under the rule of a pro-Administration party and he was defeated for re-election in 1836. In 1841, Whig President William Henry Harrison tapped Ewing, his fellow Whig, for Secretary of the Treasury on the strength of his work on the national bank while a senator. When Harrison died on April 4, 1841, just a month into his office, the new president, John Tyler, retained Harrison's cabinet, including Ewing and Daniel Webster, Secretary of State. Within months, Tyler soon caused a furor when he vetoed Henry Clay's bill to establish a National Bank with branches in several states. Congress then passed a similar bank bill, but Tyler, an ardent states-rights advocate, vetoed that one, too. The Whigs soon expelled Tyler from the party and Ewing and the rest of the cabinet resigned, except for Webster. When General Zachary Taylor was inaugurated in 1849, he appointed Ewing as Secretary of the new Department of the Interior. While serving Ewing offered an earnest young Illinois lawyer named Abraham Lincoln the office of Commissioner of the General Land Office, but Lincoln declined. When Taylor died in August 1850, the new President, Millard Fillmore, did not bond with the cabinet and Ewing resigned to fill the remainder of the term of Senator Thomas Corwin from 1850-51. He was defeated for election in 1851. Ewing went on to become a Republican in 1856, but he objected in 1860 to the anti-slavery stance of the party. In 1860 Ewing was appointed by the Governor of Ohio to be a member of the famous Peace Conference in Washington, at which Ewing was prominent in the efforts to avert the secession of the Southern States. During the Civil War, he unreservedly supported the government, and he became a confidante of President Lincoln even though he was still a supporter of slavery as were many other Northern Republicans. Three of his sons served as generals in the Union cause and his foster son Sherman was one of the principal generals in the war. His counsel was especially evident early in the war when the Union Navy screw-sloop USS San Jacinto seized the British merchant ship "Trent" on the high seas off the Bahamas on Nov. 8, 1861. Captain Charles Wilkes took into custody the Confederate commissioners James Mason and John Slidell, who were former U.S. senators from Virginia and Louisiana. Mason was the grandson of George Mason, the framer of the Bill of Rights, and he was the author of the Fugitive Slave Law of 1850. The two men ran the blockade to sail to England where Jefferson Davis wanted them to plead the Confederate case at the Court of St. James. Lincoln soon realized that other countries would see the "Trent Affair" as a violation of international law. Lincoln dumped the Trent problem into the lap of ambitious William Seward, Secretary of State. In the last few months of Prince Albert's life, U.S. minister Charles Francis Adams argued that Captain Wilkes had acted on his own. Finally, Ewing sent a telegram to Lincoln, the famous telegram that some say decided the matter, which concluded "There can be no contraband of war between neutral points." The envoys were freed on New Year's Day as a matter of expediency. Conservative in his opinions, Ewing opposed the radical measures of Reconstruction at the close of the war and he eventually came to be one of President Andrew Johnson's principal advisors. For instance, Johnson followed Ewing's advice and nominated Henry Stanberry, Ewing's former pupil and law partner, to be Attorney General, at the same time that he appointed another Ewing friend and conservative Lincoln adviser, Orville H. Browning, Secretary of the Interior. Ewing spent the rest of his life as a very active attorney and argued many cases at the U.S. Supreme Court. In 1868, he was tapped by President Andrew Johnson to be Secretary of War but the Senate refused to confirm his appointment during the impeachment controversy. He was arguing a case on the floor of the Supreme Court in 1869 when he was felled by a heart attack and was bedfast over the next two years. Descended from Scottish Presbyterian stock, he married Maria Wills Boyle in 1820 and all their children were reared in that faith. Just before his death on Oct. 26, 1871, he also converted. At his funeral, he was eulogized as the biggest intellect Ohio has ever had. General Thomas Ewing Jr., defender of Dr. Samuel Mudd Thomas Ewing Jr., the fifth child of the family, was born on Aug. 7, 1829, the same year that his father adopted W.T. Sherman. Educated at Brown University, he left college to become the private secretary for President Zachary Taylor, the Whig hero of the Mexican War. He served from 1849-50 while Thomas Sr. was Interior Secretary. He then studied law and showed independence from his famous father by setting up a practice in Cincinnati from 1852 until he moved to Leavenworth, Kansas, in 1856, the same year that he married Ellen Ewing Cox. The Ewings named their first child, William Cox Ewing, for his maternal grandfather, and he would eventually become the editor of the Skagit News in Mount Vernon. After leaving the U.S. Army temporarily in 1857, General Sherman became a law partner in the Ewing practice in Leavenworth. Ewing was a member of the Leavenworth constitutional convention of 1858, and was elected chief justice of the Kansas Supreme Court in 1861. He is often credited as being one of the leaders in the movement to stop Kansas from being admitted to the Union as a slave state in 1858, again showing his independence from his famous father. Ewing resigned his judgeship in 1862 to recruit the 11th Kansas volunteers and he was elected colonel. 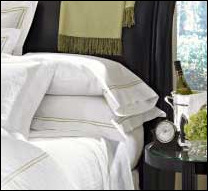 His brothers Hugh and Charles were already commissioned the year before as was his foster-brother Sherman. Sherman had served a two-year stint as headmaster of a military school in Louisiana that later became Louisiana State University. Both Hugh and Charles served with Sherman during the war. Thomas fought with the Army of the Frontier in border-state battles throughout the Civil War before he was brevetted to major general of the Kansas volunteers in 1865. In Missouri, he is infamous for signing Order No. 11 on August 23, 1863, which nearly depopulated three counties of Missouri in reaction to skirmishes with William Quantrill and guerillas who openly rebelled against Union soldiers and sacked the town of Lawrence, Kansas. He practiced law in Washington, D.C., from 1865-71, and back home at Lancaster, Ohio, from 1871-81, and for awhile after the war he was an adherent of the Greenback party. That party was formed by farmers in the West (now the Midwest) and the south who attempted to inflate the currency to overcome their staggering debts incurred during the war. He was a member of the state constitutional convention of 1873-74 and represented his district in Congress from 1877-81. He prepared the bill to establish a bureau of labor statistics and favored the remonetization of silver and the continuation of the use of greenback currency. One wonders if Charles Sherman spun in his grave at that moment. Ewing was an unsuccessful candidate of the Democratic Party for governor of Ohio in 1879 on the Democrat ticket and, after his service in congress, he resumed his law practice, but this time in New York City. General Ewing was struck down by a cable car in New York on January 20, 1896, and he died the next morning. Perhaps Thomas Ewing Jr.'s most lasting legacy will be his defense in court of Dr. Samuel A. Mudd in the trial of the charged conspirators after the assassination of Abraham Lincoln. After John Wilkes Booth shot Lincoln at the Ford Theater on Good Friday, April 14, 1865, he road off with a companion towards Virginia. His broken ankle slowed their escape, so he presented himself at the Maryland house of Dr. Mudd at 4 a.m. the next morning to have the wound set. A witness testified that he had seen Mudd in town while Booth was sleeping at his house and the military tribunal inferred that the doctor did not inform on Booth because he was a conspirator. While some conspirators were hanged, Mudd was ably defended by Ewing, who was credited for saving the doctor from the gallows. Just as in the impeachment case, Thomas Ewing Sr. advised his son and the defendant behind the scenes and Mudd was sentenced to life imprisonment. President Johnson pardoned Mudd in February 1869 after the doctor four years in prison in the Dry Tortugas near Key West, Florida. Ewing, who was advised by his father, was credited for saving the doctor from the gallows. Although Mudd was a Confederate sympathizer and slave owner, his supporters insist to this day that he did not receive a fair trial. Starting in 1992, a Ewing descendant, Candida Ewing-Steel, argued along with co-counsel Philip Gagner for ten years in several venues that Mudd should not have been tried by a military tribunal. The U.S. Army Board for Correction of Military Records actually agreed with them but the Army brass balked. The case is still being appealed although the original client, Dr. Richard Mudd — grandson of Dr. Samuel Mudd, passed away in 2002. Shortly after the bill creating Skagit county has become a law and the new county a reality [in 1883], early in the spring of the year 1884 there came one day to the straggling up-river hamlet named Mount Vernon a young man of distinguished parentage, anxious to win his way in the new West. The fortune seeker was William C. Ewing, a son of General Ewing of New York. At that time there were but two newspapers in the county, the Mail at LaConner and the Enterprise at Anacortes, while the thrifty river metropolis, ambitious as it was in a political way, too, had no representation in the newspaper field whatever. Young Ewing believed he saw an opening, canvassed the situation thoroughly and finally decided to give the venture a trial. Clothier & English, the leading merchants and proprietors of the town site, furnished a room over their store free of charge and assisted very substantially in launching the Skagit News, the first copy of which appeared Tuesday, March 4, 1884, with William C. Ewing as publisher and editor. In his salutatory, Mr. Ewing said, among other things : "Our quota to the development of the county will be the recording of the deeds of the actors." [See the complete text of the salutatory at the newspaper logs for the 1884-85 issues. Nor did he fail to keep his promises, for the News speedily became an acknowledged news conveyor of merit and a distinct force in the new county. It was Mount Vernon's powerful advocate in the county seat struggle that same fall and to it no little credit is due for the victory which came. But the talented young editor did not remain long at Mount Vernon, for [on] Sept. 29, 1885, [George] E. Hartson, one of the valley's oldest pioneers, although then a young man who had been elected superintendent of schools, assumed charge of the News. It is stated that Ewing remained in newspaper work and ultimately attained a high position in his profession. Besides his support of Mount Vernon as the county seat, Ewing is remembered for his support of the work to clear the log jams on the Skagit river and for the campaign for public subscriptions to fund that project and a snag boat for the upper Skagit. At that point, Ewing's trail turned cold. We knew very little about his life before and after Mount Vernon except for what was supplied by Marilyn Price-Mitchell, his second cousin, three times removed, who now lives in Washington state. While researching for her Ewing family website, she discovered a very limited book titled, George Ewing, Gentleman, a Soldier of Valley Forge. William and his brother Thomas Ewing III transcribed the Revolutionary War diary of their great-grandfather George Ewing Sr. and added family notes of their own. William wrote a chapter named Valley Forge Revisited, in which he mentioned that he graduated from Wooster University in 1878, six years before he arrived in Mount Vernon. The brothers apparently spent more than two decades assembling the book, starting around the turn of the 20th century. Thomas finished the writing and published the book in a very limited edition in 1928 and William was dead by then. We know that by 1907, William Cox Ewing lived in Yonkers, New York, where he was a leading citizen. Thomas became a distinguished patent lawyer in New York. Mount Rainier contour map showing Longmire springs on the south flank. We finally unlocked the secret of why William C. Ewing came to Washington when we discovered a July 13, 1907, Tacoma Daily News story about his ascent of Mt. 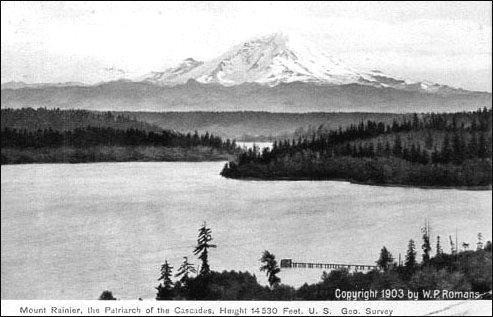 Rainier in 1883. Finally, we studied the government of Washington territory and we found Ewing's footprints. The key that turned the lock was old Philemon Beecher, Thomas Ewing Sr.'s mentor when he was a young attorney back in Ohio in 1816. Altogether, we have now read dozens of sources and citations that include solid information about the extended family and Ewing's life in Washington territory. As we noted above, Thomas Ewing Sr. married Beecher's niece. Beecher had two daughters and one married an up and coming young Lancaster man with one of those euphonious, aristocratic, 19th-century names, Philadelphus Van Trump (Philadelphus is the most common spelling in records, although Philadelph and Philadelphia also appear). The other daughter married Henry Stanberry. The brothers-in-law were also partners in Beecher's old law firm. Stanberry was nine years older and more prominent. Van Trump had a much more hardscrabble childhood and could have been a model for Horatio Alger; he was definitely a self-made man. Van Trump was born in Lancaster, Ohio, on Nov. 15, 1810; the father was a tavern-keeper and the family was very poor. Like many children of poor families, Van Trump was lucky to attend school a few months a year and had to work as a teamster, driving ox teams to help support the family. He learned the art of printing at the Eagle newspaper, which he soon owned before he was 21. In 1832, he sold his own paper to a competing Lancaster paper, the Enquirer. He soon owned that paper, too, and then bought the competing Gazette, renaming it the Gazette and Enquirer. While publishing, he also studied law with Thomas Ewing Sr. at Beecher's old law office. He sold the newspaper in 1838 and was admitted to the Ohio Bar that year. Beecher died in 1839 and Ewing went back to Washington, D.C. in 1841, so Van Trump and Stanberry took over the partnership. For the next couple of decades Van Trump was a successful attorney and a dabbler in politics, initially as a Whig in the early 1850s when that party was dying. Like many others who recoiled in horror at the wave of immigrants, joined the American Nativists, a loose confederation of people who distrusted both foreigners and Catholics. That group evolved into the Know-Nothing party, a nickname that stuck because adherents usually answered, "I don't know," when asked what party they belonged to. In 1857, he was the party's standard bearer in the race for governor against Republican Salmon P. Chase, but received only 10,272 versus 160,568 by Chase. In the general election, Chase barely beat his Democrat opponent by 1,500 votes, but he went on to become the U.S. Secretary of the Treasury in Lincoln's cabinet. He led the fight for the Banking Act of 1863 and the Chase Bank was named for him although he did not have a financial interest in it. Although Chase resigned from the cabinet, Lincoln appointed him Chief Justice of the Supreme Court in 1864 and he served until 1873. The law firm office of Van Trump and Stanberry burned to the ground in 1856 and Van Trump's famous law library lay in ashes; that seems to have been a turning point in Van Trump's professional life. The fire occurred the same year that Thomas Ewing Jr. moved and set up practice in Kansas, so the fire may have been the impetus for Ewing leaving the firm. Stanberry's political career was on the ascendant, so Van Trump had a heavy load at their firm. The Ohio legislature appointed Stanberry to be the state attorney general in 1851 and he was a key delegate at the state's constitutional convention in 1850-51. By the time of the Civil War, Van Trump had joined the Democrats. He was elected to be Judge of the Court of Common Pleas in 1862-67 and was then elected to Congress to serve from 1867-73. Meanwhile, Thomas Ewing Sr. convinced President Johnson to appoint Stanberry as the U.S. Attorney General in 1866. He resigned in 1868 to lead the successful defense of Johnson at his impeachment trial. As with the Dr. Mudd trial, Ewing Sr. was the background adviser. Stanberry died in New York City in 1881. Van Trump died in Lancaster in 1874, shortly after the end of congressional term. 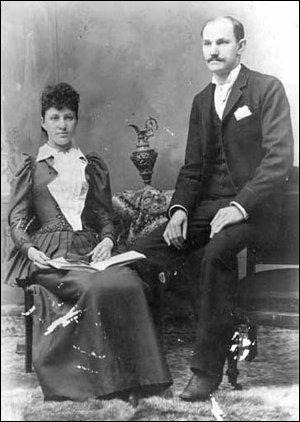 Two of Philadelphus Van Trump's children made moves that led to William C. Ewing founding the Skagit News. We learned from the letters of Ellen Ewing Sherman, the general's wife, that Frances "Fanny" Van Trump, the eldest Van Trump child, married Judge Marshall F. Moore on June 7, 1859, in Lancaster, Ohio, and had her first child in 1860. Moore was soon to be the eleventh governor of Washington Territory. Born in New York in 1829, the same year that General Ewing was born and General Sherman was orphaned, Moore earned a law degree and moved out to Iowa on the frontier. In 1857 he was elected judge of the Iowa Court of Common Pleas. By the time that the Civil War broke out, Moore had moved to Fanny's home state of Ohio and was commissioned a lieutenant colonel in the 17th Ohio regiment. He was breveted to brigadier general by the end of the war. After the war, President Andrew Johnson appointed Moore to become territorial governor in Washington. Democrat Johnson was already in trouble with congressional Republicans and many of his appointments were not confirmed. Johnson's nomination on the Unionist-Republican ticket with Lincoln in 1864 seems odd until you understand that he refused to resign his U.S. Senate seat when his home state of Tennessee seceded in 1862. Lincoln appointed him military governor of Tennessee and the Republican party decided that his stature as a Democrat would rake in more votes in the 1864 election. Moore was not Johnson's first choice but his general's rank in the Civil War worked in his favor. Moore's term of office officially began on March 4, 1867, but Kevin Bacher of the National Park Service points out that Moore did not actually arrive until sometime in August. The Moore family, which by then included three children, traveled by various steamships from Ohio, and in between they crossed overland on the railroad across the Isthmus of Panama, five decades before the Panama canal and two years before the U.S. transcontinental railroad was completed. When they arrived in Olympia, the state capitol that was just ten years old, a town with none of their amenities back home in Iowa and Ohio. He probably knew no one in the territory, so he took along with him as private secretary, Fanny Van Trump's brother Philemon Beecher Van Trump. At first glance it may seem odd that the eldest son of prosperous Philadelphus Beecher would give up a cushy job with his father back home , but we will soon see that P.B., as he was usually known, was an adventurer in the best frontier sense. He served Moore for the governor's entire two-year term until the spring of 1869. Gary Zimmerman, historian for the Pioneer Association of the state of Washington and president of the Fiske Genealogical Foundation in Seattle, has helped us flesh out P.B. 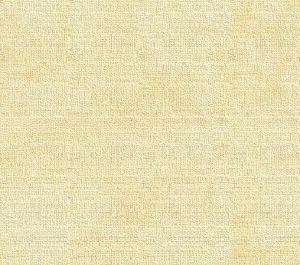 's background. From census records we know that P.B. was born in Dec. 18, 1838. Bacher tells us that Van Trump "originally come west in 1865, prospecting in Montana and Idaho, then traveling south through the Willamette and Sacramento Valleys from Portland and returning to his home in Ohio by boat via the isthmus of Panama." Moore died on Feb. 26, 1870 and his widow Fanny moved her family back home. But P.B., who was single at the time, stayed and began farming on the Yelm prairie. There were still no real cities on Puget sound at that point. Seattle was clustered on the hills around Yesler's Sawmill, with a downtown composed of just a few streets in the area of today's twin sports stadiums. Tacoma was not even a town yet; there was a small village on that site named Commencement City. Northern Pacific Railroad would choose Commencement Bay as its terminus in 1873 and then adapted an Indian word to form Tacoma on the bay. Members of the Taidnapam, Upper Cowlitz, Yakima, Nisqually, and Puyallup tribes fished, hunted, and gathered berries and herbs on the slopes of nearby Mount Rainier (also called Tahoma) but they felt a great reverence and awe for the peaks and they never went near its summit. Captain George Vancouver first named the mountain, Rainier, in 1792 to honor of his friend back in England, Rear Admiral Peter Rainier. Rainier never visited the peak, however; the nearest he came was during the Revolutionary War, when he fired on Eastern U.S. ports from his ship off the Atlantic coast. Van Trump and the first ascent of Mount Rainier in 1870 While working for the governor in late 1867, P.B. Van Trump met General Hazard Stevens, the son of the first territorial governor, Isaac I. Stevens. 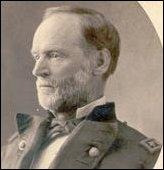 Stevens was wounded during the Civil War at the battle of Chantilly on Sept. 1, 1862, the same day that his father, also a general, was killed there. After his father's death, Hazard was brevetted to brigadier general and at age 22, he was the youngest general in the Civil War. By 1870 Hazard was fully healed and full of energy as was his friend P.B. Van Trump so they decided to climb Mount Rainier together. The legacy of their efforts is a series of geographic features that were either named by them or for them. The National Park Service website about the 1870 ascent asserts that Van Trump and Stevens originally planned to climb the mountain in 1867 but forest fires that year foiled that plan. There is no actual record of such a plan but Van Trump did write later that he first saw the mountain in all its grandeur in August 1867 from his viewpoint on the prairies southeast of Olympia. He vowed at that time to eventually climb the mountain and when he met Stevens, he discovered that the general had made the same vow. 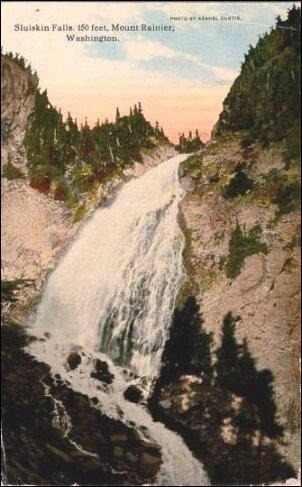 Sluiskin Falls, a tinted postcard. Leaving the Yelm prairie on horseback and with a pack animal, they forced their way up the Nisqually valley. They didn't know that the river itself had its fountainhead in the mountain. They knew nothing except to keep as straight a line as possible for the big white dome. They left the comparatively easy traveling in the valley to cross over the Mashell hills. There were no trails, no clearings. They had to chop their way through tangled woods and pull their horses over rocks and up steep bluffs. It was a heart-breaking trip, but both men were young, both were used to roughing it, and they were determined to reach the mountain. So they toiled over the hills and mountains, up creeks and rivers, until they came to the camp of Sluiskin, one of the Penio tribe. These Penios, or mountain Indians named for their chief, were few in number. Their home was at the head of the Skate creek on Bear Prairie: their hunting grounds were the foothills and valleys around Mount Tacoma. They were taken to Bear Prairie on horseback by Longmire and then were guided to the timberline by Sluiskin. "An appointment was made with Sluiskin to appear at the white men's quarters at noon the next day. Punctually at the hour Sluiskin stalked into camp, followed by his squaw with a papoose strapped to her back. A bargain was soon struck with the Indian. He was to guide us to the mountain and provide us with game, if possible, at $1 a day wages." Sluiskin [also spelled Sluskin] told them that they must leave their horses and climb over the Tatoosh range on foot. He could take them to the snow line, but he warned them not to go further: "Your plan to climb Takhoma is all foolishness. At first the way is easy . . . (but) if you reach the great snowy dome, then a bitterly cold and furious tempest will sweep you off into space like a withered leaf." They left their horses at the Indian camp and their Indian guide took them on foot around Reflection Lake and up the Paradise river to the falls, where he helped them prepare a permanent base camp. The government geographic names board later named the falls for Sluiskin, a branch of the Cowlitz glacier for Stevens and a nearby creek for Van Trump. On the morning of August 17, after a night's rest, they left Sluiskin and climbed up over crevasses and fissures to Gibraltar rock, then on to Columbia or Crater Peak. Nearly 14 hours after they set out, they reached the summit and discovered something not known before, a crater that had once been a lake of fire. This was the proof they needed for the flatland folks to believe that they had actually reached the top, unlike climbers before who had stopped at lower peaks. They did not tarry at the top because they knew that Sluiskin would not wait long, assuming they had perished. As they returned the same way they climbed, Van Trump slipped and cut his thigh badly on a sharp, jagged rock, and lost his ice axe. When they returned and met up with the shocked Indian, they took a shorter route back down but it was soon apparent that Van Trump could not continue further with his wound. Sluiskin hurried on down to his camp and got a packhorse and brought it to where Van Trump was resting, so that he could mount it for the rest of the way home. "Finally Sluiskin was sent back to hasten along the lagging mountaineer. After a long absence he returned alone, and, with an amused and satirical expression on his face, informed us that 'wake skookum ole King George Man' had given up the chase and had deserted us. Sluiskin had gone back as far as the first mountain summit out of camp, and from it he had seen the laggard, no longer with his face set toward Rainier, but turned in the direction of camp on Bear Prairie. . . . After debating the situation for some moments we decided that Mr. C. must have given up, for the time being, his design on Rainier, and that the best thing for us to do was to push on without him." "What was to be done? Coleman carried in his pack all our bacon, our only supply of meat, except a few pounds of dried beef. He also had the barometer, the only instrument that survived the jolts and tumbles of our rough trip. But, on the other hand, he had been a clog upon our march from the outset." These excerpts come from Mount Rainier: A Record of Exploration by Edmond S. Meany and from a speech at a meeting of the Mazamas Club given by Van Trump in 1897. Mount Rainier, photographed from Puget sound in 1903 by W.P. Romans. Period post card. According to the July 13, 1907, Tacoma Daily News article, Van Trump received a letter in the spring of 1883 from George B. Bayley [also mistakenly spelled Bailey in many accounts], an author, newspaperman and mountain climber from the San Francisco Bay area. Bayley had read Van Trump's description of his first trip up the mountain and wrote to know if he could be taken there. Van Trump answered that he would be glad to make another trip. He was especially happy because his cousin had joined him in Yelm — William Cox Ewing, related through marriage via the Philemon Beecher family. His cousin was about 22 years younger and the climb would be a great way to introduce him to the geographic wonders of the Northwest. Van Trump suggested that they should contract with James Longmire for his pack train as he had in 1870, and Bayley agreed. The 1883 party set off on August 1, but this time, Longmire decided to climb with them all the way to the summit because he was curious to see it himself. Longmire was 63 and had been living on the Yelm Prairie since homesteading there in 1853 after crossing the Midwest Plains while acting as a leader of wagons called the Longmire Train. Kevin Bacher notes that Longmire "made history by crossing the Columbia in eastern Oregon and then going up the valley toward the Cascades and crossing Naches Pass. They encountered steep cliffs west of the pass and had to lower their covered wagons with ropes down a drop of about 1000 feet. It was pretty harrowing, but they were the first wagon train to cross the Cascades north of the Columbia, arriving in Steilacoom in November 1853." By the first evening, the party was at the Mashell prairie, four and a half miles west of where the town of Eatonville rose much later in the logging days. They stopped at the home of Indian Henry, who was born in the Yakima tribal area but joined the Penios Indian band when he was a young man. Van Trump negotiated with him to guide on the same route to Bear Prairie that Sluiskin used, but Henry said he would go even further and actually take them to the snow line on horseback. Henry led them straight up the Nisqually river valley instead of cutting over the hills to Bear Prairie and they eventually reached Paradise valley via the site of what is now known as Camp of the Clouds. From there they took two of Longmire's best horses to carry their provisions and fuel. Indian Henry accompanied them to bring back the horses. When they came near the future site of Camp Muir — which would be named for John Muir after Van Trump climbed the mountain with him in 1888 — Indian Henry refused to go any further and begged Longmire and Van Trump to stop. He feared the summit just as much as Sluiskin did. On the way to Gibraltar Rock the next morning, Ewing complained that the altitude restricted his breathing and he returned to the previous night's camp. He waited impatiently for two days as hurricane-style winds blew in a storm that scared Indian Henry enough that he threatened to take the horses back down the mountain. But suddenly they spotted the climbers crawling down gingerly around Gibraltar rock. After a hot supper, Henry and Longmire went to gather the horses and wandered onto a deer trail that led off from Rampart mountain into a swamp. The deer had found a natural spring and although Longmire did not know much about mineral water, he suspected that a high-country spring like that one could be a valuable discovery. Bayley followed them up to the springs and recognized the medicinal value. Longmire wanted to be fair and he asked the others if they wanted to share a claim. Bayley and Ewing declined, but Van Trump suggested they form a partnership. Longmire bought out his interest a few years later before constructing the first tourist shelter near the springs. He built a temporary structure there near Soda Spring that fall and the whole area became the first summer tourist headquarters named Longmire Springs and Ranch. In August 1890, Van Trump and his family invited local schoolteacher and avid hiker Fay Fuller to accompany them on an outing to Paradise. She said that Van Trump inspired her to try a full ascent herself and P.B. gave her permission to join a Seattle climbing party, headed by Reverend Ernest C. Smith, for an attempt later that month. On Saturday, August 9, 1890, the Smith party climbed to Camp Muir, where Leonard Longmire joined them. They reached the summit, then called Columbia Crest, on Sunday and she became the first woman to successfully ascend the mountain all the way. Fay's father, Edward N. Fuller, published three Tacoma newspapers and he soon gave her a bylined column named Mountain Murmurs. She went on to help form the Washington Alpine Club in 1891 and when she climbed Mount Hood in July 1894, she and her party formed the famous Portland Mazamas climbing club. Van Trump climbed the mountain three more times after 1883, including the ascent with John Muir in 1888 that inspired part of his book, Steep Trails. By the time of the 1900 census, P.B. listed himself as the postmaster of Yelm; he served in that post from 1894-1903. Son Henry had followed the gold rush argonauts to the Klondike and daughter Christina was listed as being away at school. When P.B. was 68 in 1907, his life took a hard turn. His wife and daughter died — daughter Christine on January 3 at age 26; and then his wife Cynthia on September 28, at age 57 and his wife of 33 years. After those deaths, he moved back to Yelm. The 1910 census lists him as boarding at the farm of James and Lola Mossman and working as a gardener and farmer. In 1915, he moved to Kattelville, Broome county, New York, where another of his sisters lived with her family. After Marshall Moore died in 1870, P.B. 's widowed sister Fanny moved back to Lancaster and then clerked for Thomas Ewing Jr. in Washington, D.C., the last record we have of her. About the same time a Ewing genealogical mystery appears. Marshall Moore's family was from Binghamton, which is near Kattelville. P.B. 's sister Maria Louisa married a Thaddeus A. Kattell in 1873 and his mother was a Moore. We do not know exactly how those Moores were related. P.B. Van Trump died on Dec. 27, 1916, in Kattelville while living with his sister's family. We hope the reader will pardon us at this point for connecting some dots about William C. Ewing, basing our conclusions and hypotheses on the flimsy records available. We suspect that, sometime after the party returned from the climb, Van Trump introduced young William C. Ewing to Hazard Stevens and that meeting led Ewing to Skagit county. General Stevens first came to Washington territory as a young boy when President Franklin Pierce appointed his father as the first territorial governor. Such appointments were political plums and they often led to financial rewards. During his four-year tenure here and his years in Congress afterwards, General and Governor Isaac I. Stevens lobbied for a transcontinental railroad route that would terminate on the Puget sound. He decided early on that a line from Spokane Falls across the Cascade mountains was the preferred route. He explored possible terminus locations at both Ship harbor (later called Anacortes) and Bellingham Bay. Members of his family invested in land at Ship harbor to the point that they had locked up land at that location by 1873, according to some accounts. 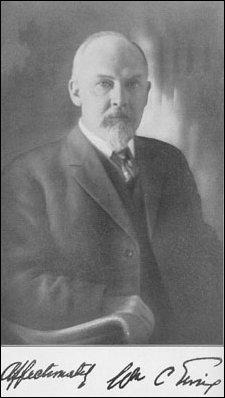 In 1877, Amos Bowman — the father of Anacortes, purchased much of these holdings for $1,000 from Maud Stevens of Boston, Hazard's sister, after Northern Pacific Railroad [NP] fell into financial ruin. After the Civil War, the U.S. government in 1867 appointed Hazard Stevens to be Collector of Internal Revenue for the Territory of Washington. About two years later, he left his federal post and studied law privately under Elwood Evans. During that time the Oregon Navigation Company, a firm that invested in both steamships and railroad projects, also employed him. When he was admitted to the bar in 1870, NP became one of his main clients and that is when he began investing heavily at Ship harbor. In 1871, the federal government decided to prosecute loggers who were poaching timber from federal lands along the NP checkerboard right-of-way across the Northwest and NP attorney Stevens was issued blank subpoenas to prosecute the thieves. By early 1873, however, the government received reports that Stevens was actually aiding timber poachers who were in league with him. According to an article on this website, "The U.S. General land Office finally stepped in June 1873, and accused Stevens of stealing from the government and the railroad. Stevens was not charged, but NP fired him." In 1875, Stevens moved to Massachusetts to care for his widowed mother and he eventually became a judge on the state general court, but he retained holdings in the Olympia area. 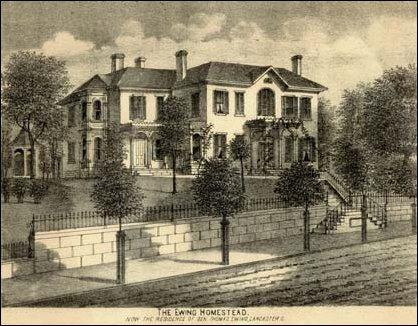 His main investment was in the Cloverfields Dairy Farm, 320 acres surrounding a large Dutch Colonial house that featured a huge formal reception hall used for lavish entertainment. He returned annually to administer the estate. Did P.B. Van Trump introduce William C. Ewing to Stevens on one of those occasions in 1883? Is that what led to Ewing touring Skagit county and his decision to publish the Skagit News? We may never know, but this is a logical inference and we hope that a descendant of one of these families can help us prove or disprove the theory. We have found dozens different publications and websites about the extended Ewing family and Mount Rainier and we will share sources with serious researchers. In the meantime, here are some special links that you may enjoy in addition to the Ewing family site we noted in the story: Edmond Meany's Mount Rainier book; University of Washington photo collection that includes photos of Van Trump and others. As you read the Skagit Valley Herald, remember that it has evolved from that original two-pager that Ewing printed on a hand-cranked press back in 1884. Until the Puget Sound Mail ended publication in 1883, that was the oldest continuously published newspaper in the state and the oldest in Skagit county. The Herald now holds the latter distinction. Read excerpts from the first six issues of the Skagit News from the spring of 1884, including profiles of many early pioneers and the first appearance of the Dolbeer steam donkey. And transcriptions of April issues in Part 2, which includes details of many early logging operations around the county in the year of a huge wave of new settlers. This story will soon be changed to this address. If neither file connects, please email us. Read more about the Longmire-Byles 1853 wagon train in part two of the Goodell family story, which includes the Indian War of 1855-56 and then — Jotham's death; family members find new homes; Phoebe Goodell Judson finally finds her Ideal Home and becomes the "mother of Lynden;" Col. James A. Patterson and the connection to impeached president Johnson. This story will soon be changed to this address. If neither file connects, please email us.